Likud MK David Biton supports the application of the death penalty for Jewish terrorists as well. 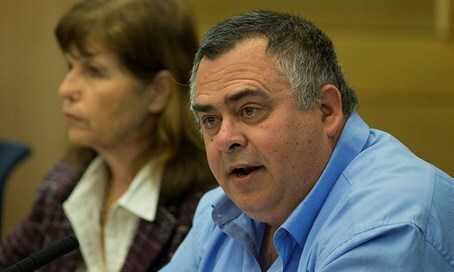 Coalition chairman MK David Biton (Likud) on Sunday addressed the proposed death penalty law for terrorists initiated by Yisrael Beytenu chairman Avigdor Liberman during coalition negotiations. "I think there needs to be a death penalty, not just for those who want to commit suicide, but those who want to carry out a deadly attack only to be released after a few years in some exchange deal," said Biton during an interview with Radio Lelo Hafsaka. According to Biton, the law will provide a solution to terrorists who sit comfortably in Israeli prisons, study for an academic degree and are then released after ten years in a prisoner exchange. Biton said that Liberman's initiative should apply to Jewish terrorists as well. Biton is not the first MK to make such a call, as last August Jewish Home chairperson Naftali Bennett called to implement the death penalty for Jewish terrorists as well. That call came a month after a Yisrael Beytenu death penalty bill for terrorists that was shot down by all MKs other than those in Liberman's party. "The use of the death penalty should only be used for extreme cases in the face of terror. It will be a deterrent element, [terrorists] will not walk free and we will spare ourselves more problems," concluded Biton.